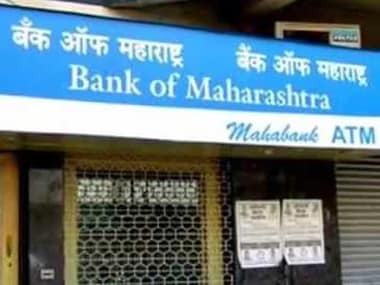 Mumbai: In an unprecedented move, the national bankers lobby, Indian Banks Association, on Friday unanimously rallied behind the arrested brass of the embattled Bank of Maharashtra saying the entire banking fraternity is "anguished" over the development. The IBA also decided to approach government to seek remedial action, association chief executive GV Kannan told reporters after an emergency meeting of the body here. "The entire banking community is with the BoM management and the IBA has decided to approach the highest authority," Kannan said. The IBA solidarity comes a day after the bank's shareholders, and bank unions led by the All-India Bank Employees Association had backed the arrested BoM brass Ravindra Marathe, executive director Rajendra Gupta, zonal manager Nityanand Deshpande, former chairman Sushil Muhnot who were arrested by the economic offences wing of the Pune Police on Wednesday for allegedly extending loans to the scam-tainted realtor DSK Group. At the annual general meeting, the shareholders reposed their faith and confidence in the bank and its leadership team. The shareholders acknowledged the bank management's service record and various efforts undertaken to steer it towards profit. The arrest was made despite the bank disclosing that it had only a little over Rs 94 crore exposure to the DSK group and that the entire loan is fully secured and the loans were given before Marathe took over. In a letter to the financial services secretary Rajiv Kumar, the bank unions had said it was surprising that the arrested bank executives were not connected with the cheating by the DSK Group. "Hence, arresting them at this stage in connection with this is unwarranted. If there is any involvement of these officials in the DSK scam, they should be taken to task but as per our information, they are not involved in the same," the unions said in the letter.